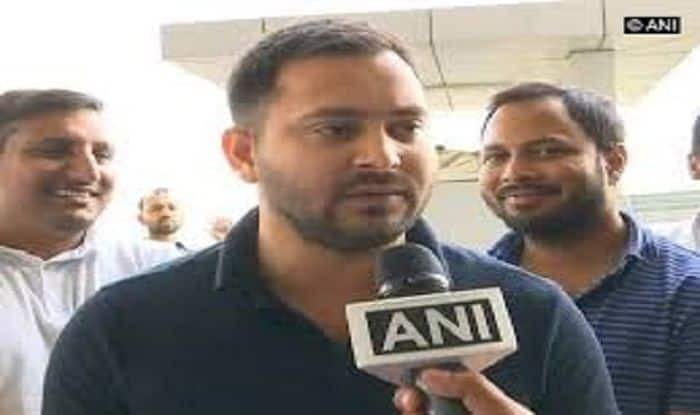 Patna: Rashtriya Janata Dal leader Tejashwi Yadav’s petition, challenging Bihar government’s order to vacate his bungalow was rejected by the Patna High court on Monday. A division bench of Chief Justice A P Sahi and Justice Anjana Mishra rejected the Rashtriya Janata Dal (RJD) leader’s appeal challenging a single-judge order dated October 6, 2018, which had turned down his petition against the state government’s direction. As per the Bihar government’s order, Yadav was asked to vacate his bungalow and make way for Deputy Chief Minister Sushil Kumar Modi. The bench of Justice Jyoti Saran had asked him to vacate the 5, Deshratna Marg bungalow. The government quarter on 1, Polo Road, which was later allotted to the petitioner was in accordance with the status of his leader of opposition post, said the court. Agreeing with the contention of the state government, the bench had said that the government quarter was earmarked for the deputy chief minister and hence, the petitioner had no right to ask for the allotment of the same quarter. The premises was allotted to Yadav in 2015 when he became the deputy chief minister of the then ‘Grand Alliance’ government headed by Nitish Kumar. The bungalow is situated adjacent to the chief minister’s residence. Even after the lapse of more than a year since RJD lost power in the state, Yadav still resides in the bungalow.